Many business owners are so absorbed with traditional advertising methods like online ads and marketing messages, forgetting one simple yet highly effective method to attract walk-in traffic, floor graphics. Although floor graphics advertising has been in existence for over two decades, it has only recently gained popularity in the business world. Floor graphics offer business owners a great way to reach customers as they go about their shopping, direct traffic towards their shops, and even promote brand awareness. Usually, these attention-grabbing graphics catch the attention of shoppers right before they decide where to shop. Basically, they stop customers in their tracks and capture their attention for a few seconds. If they like what they see, they will easily follow the prints right to your doorstep. Why are Floor Graphics Effective Tools for Marketing? Use directional floor graphics that depict footsteps or even arrows to lead potential customers to your business. This method works best in high traffic areas where it will ensure maximum visibility. Floor graphics can be easily customized to serve different purposes. If you have an ongoing product promotion, what better way to let people know about it than creating attractive graphics on the product you’re promoting? For example, a graphic with the product you’re promoting outside your business will let everyone passing by know what you’re offering before they even set foot in your shop. And this is what makes this form of advertising so incredibly effective and successful. The trick lies in creating attention-grabbing graphics that will inform people about it and encourage them to enter your shop. 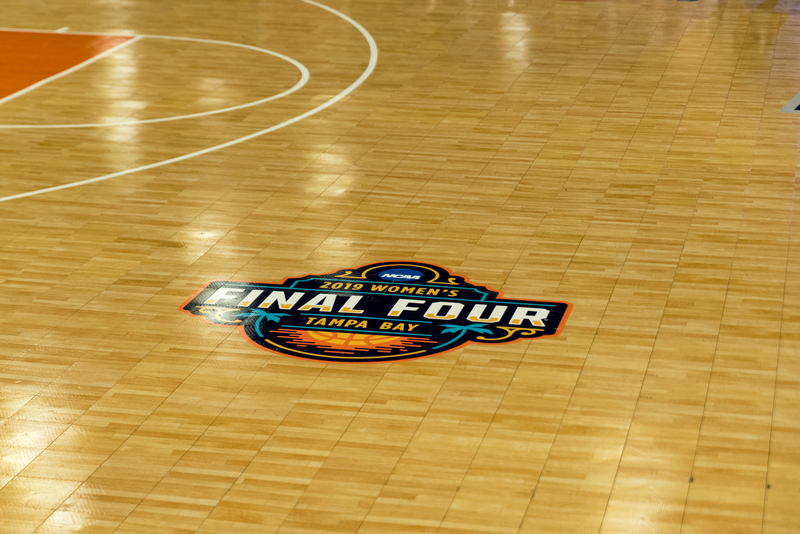 Versatility is one of the biggest benefits of floor graphics. This means that you can use them anywhere and for anything, not just on floors. This is especially helpful if there is no way to afix them onto the floor surface. They can be placed on walls to create a catchy display, on windows, on vehicles, and so much more. And the good news is you can be as creative as you want- from creating an attractive logo to eye-catching and funny 3D images. Floor graphics have proven to be a very effective tool for promoting brand awareness. When placed in high traffic areas, these creative graphics can literally reach hundreds, if not thousands of people every single day. This offers businesses a great opportunity to attract a wide range of audiences and potential buyers. Floor graphics offer a simple yet affordable way to promote brand awareness. Compared to expensive advertisement methods like television, radio, newspaper, or magazines, floor graphics offer business owners a cost-friendly way to bring in potential customers while promoting brand awareness. Another benefit is great flexibility. The possibilities are endless when it comes to printed floor graphics. You can have customer graphics installed according to your business needs. For example, during the Christmas season, you can have Christmas-themed graphics promoting popular items that most people buy during this season. The same goes for Thanksgiving, Black Friday deals and offers, Cyber Monday discounts, and more. Installing these graphics provides you with an easy way to attract and impress potential customers, and this translates to more business. A lot of small businesses don’t usually have a huge budget to spend on expensive adverts like billboards, TV, or even newspaper. In most cases, these businesses often rely on social media or search engine traffic if they have a website set up. Installing floor graphics eliminates the many financial constraints that most business owners face as they are not only cost-efficient but are also quite long lasting. Plus, you don’t have to spend most of your time advertising your business. It’s as easy as that! If floor graphics is something you’ve never considered as a viable advertisement method for your business, now is the time to do so. Remember: Be creative. You need to stand out from the rest. Keep the message short and direct- no fluff. But most importantly, ensure that the graphics are installed in high-traffic areas. At Full Sail Graphics our commitment to quality products and customer service sets us apart. Give us a call today at 714-475-1946 or contact us for a personal consultation and find out how we can be the power behind your brand.